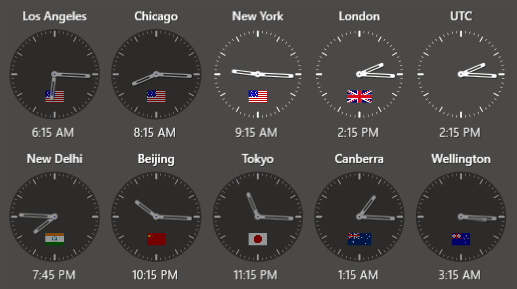 Sharp World Clock can display clocks differently, depending on the time of day in the selected city. You find that slider inside the Settings dialog - Global section. Instead of shading "Out of Office" clocks, you can also apply the function to clocks during night-time (the time after sunset and before sunrise), which might be more suitable depending on your needs.